The theme of settings for books has unveiled a treasure trove of responses. Here’s one you’ll really enjoy, from new author Maria Mellins who has chosen an island. Welcome, Maria! At Strawberry Hill House, St. Mary’s University, Twickenham. Thank you very much for hosting me Jane! And what a fantastic topic. 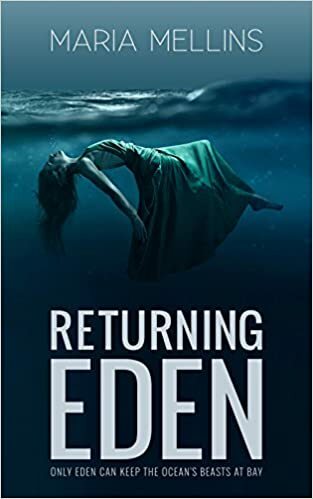 Having recently finished my first novel, Returning Eden, I am very keen to ponder the idea of just how important setting is to an author. I have heard authors, much more experienced than I, talk about the process of writing a novel and how at times the characters begin to make decisions above and beyond the author’s original intentions. Before you know it, these domineering, unruly characters have got you into all kinds of strife through no (conscious) fault of your own. Well in my story, I did certainly get a sense of this, but it was actually the setting and the overall world-building, that really seemed to exemplify what I can only term as a Frankenstein effect. Locations, architecture, weather, all seemed to take on a life of their own. This entry was posted in Authors and tagged Agatha Christie, Alcatraz, Cantillon College, gothic, Horace Walpole, Mary Shelley, San Francisco, Strawberry Hill House. Bookmark the permalink.